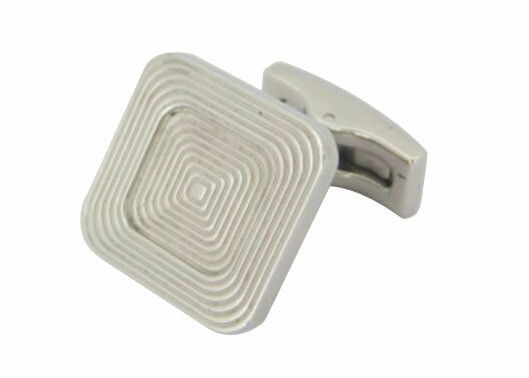 Fashion Stainless Steel Cufflinks in two layers labyrinth line style. Material: 304 or 316 stainless steel in different quality and cost. Plated color: silver, gold, rose gold, black, brown, etc. High-polishing and hand-made with competitive price. Sample order is warmly welcomed.